The Mombasa Club was an essential part of Colonial life and became famous and popular as a warm, idyllic leisure and meeting point, where its members held lively debates or interchanged news whilst sipping their Mombasa Club gins & tonics. 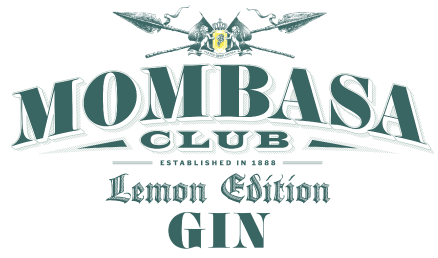 Mombasa Club London Dry Gin is made four times distilled and features a botanical selection that includes juniper, cassia bark, angelica root, coriander seed, clove and cumin, resulting in a bold, spicy flavour profile. An exclusive gin from England that was specially distilled and bottled for the consumption and pleasure of its members. Nowadays, Mombasa Club Gin continues being a nostalgic reminiscence of those romantic pioneering adventurers of the glorious, epic English colonialism of the nineteenth century. Mombasa Club Colonel´s Reserve is a special limited edition in homage to one particular class of men that were able to bring the Victorian Britanic Empire to its most glorious period. Of note is the inclusion of caraway seed, instead of angelica, and the use of calamus an aquatic plant that normally grows in swampy areas of Europe and America. Named after a 19th century private social club in Kenya that imported English gin for its members. The botanicals used include caraway, cumin and coriander. Introducing Mombasa Lemon Edition, A triple distilled gin infused with the finest Mediterranean lemons and other selected natural ingredients. Mombasa Gin Club Colonel’s Reserve is a special and limited edition in homage to this lineage of adventurers who were able to take the British Victorian Empire to its most glorious period. Made under the classic English style, Colonel’s gin has a higher ABV (43.5% vol.) And more intense aromas than its namesake. In fact, it contains seven botanicals, highlighting the caraway seed, instead of angelica, and the addition of calamus, an aquatic plant that usually grows in marshy areas. The making of Mombasa Gin Club Colonel’s Reserve arises from a 4 times distilled alcohol of the highest quality, which serves to macerate all the botanicals for a 24 hours . After which is then once again distilled in small pot still designed and built by the London manufacturer “John Dore”. The distillate is then left to stand for 10 days before any further processing. This allows all the fine aromas to be assembled into the Mombasa Gin Club Colonel’s Reserve. A genuine London Dry Gin With a harmonious botanical fusion. Visual Stage: Translucent and true to the profile of a London Dry. Olfactory Stage: Aromatically, it enjoys the harmony of a perfect fusion among its botanicals (cassia, caraway, calamus) highlighting, subtly, it’s more floral and citric point. The juniper then balances the whole. A few seconds resting in the glass, magnify the aromas creating a whole world of complexity and flavours from the botanicals. Gustatory Stage: On the palate, it conveys a silky touch, subtly supported by its well-distributed aromas and slight sweetness. The aromatic farewell, is the second value of this gin that reveals a long and calm maceration of the botanicals. Conclusion: Because of the defined nature of the botanicals and its discreet sweet accent, we recommend tonics with little presence of quinine. In addition, it combines very well with aromatic mixers and signature cocktails.